Carlita: Warsaw, The World's Youngest "Old Town"
After touching down in Warsaw following a monster a 27 hour flight we decided the best way to get to know our new home for the next 72 hours was to go on an early morning walking tour covering the city centre. We met our guide in the heart of Royal Castle Square. He explained to us what made Warsaw so unique in contrast to other great European Capitals. Bearing the brunt of WWII occupation, Warsaw was flattened by all opposing sides of the war. 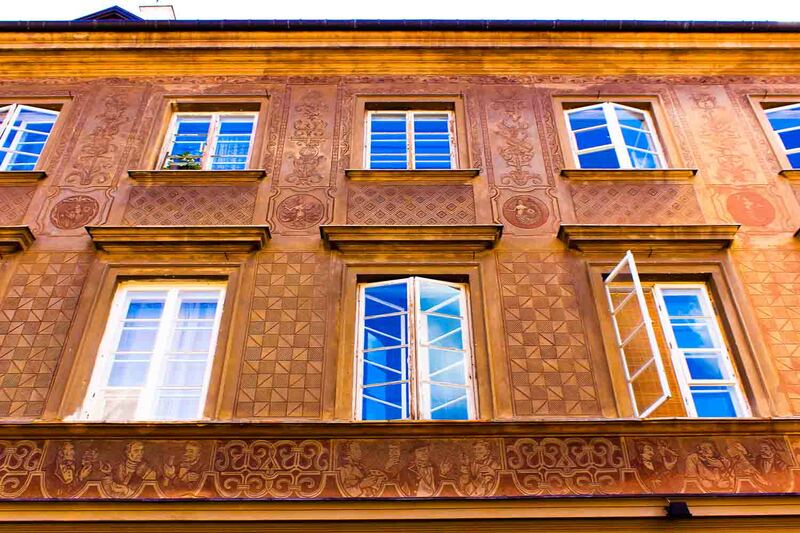 Almost all the structures in the old town are reconstructions based on pre-war photographs, and that is why Warsaw is often referred to as the world's "youngest old town". Of particular significance was a legend surrounding the statue on top of Sigismund's Column which states that if the King's sword were to fall then disaster was coming. The statue did fall during WWII however it survived the fall and was placed back on top of a new column. Behind Sigismund's Column we walked to the interior of the Royal Castle. 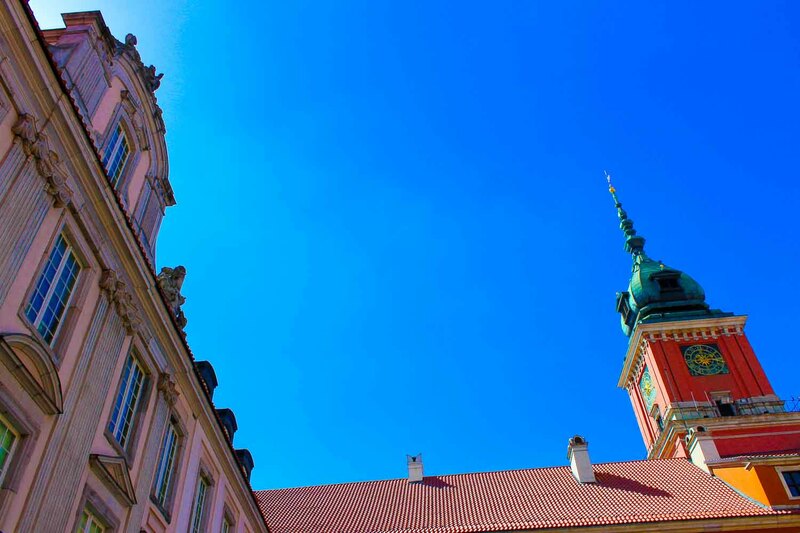 What made Warsaw Castle so special was that signified the period of time that King Sigismund transferred the capital from Krakow to Warsaw making Warsaw the most significant city in Poland. In homage to his Swedish heritage, the King built half the castle in Swedish style (as seen on the right hand side below) and the rest of the castle in typical Polish fashion. 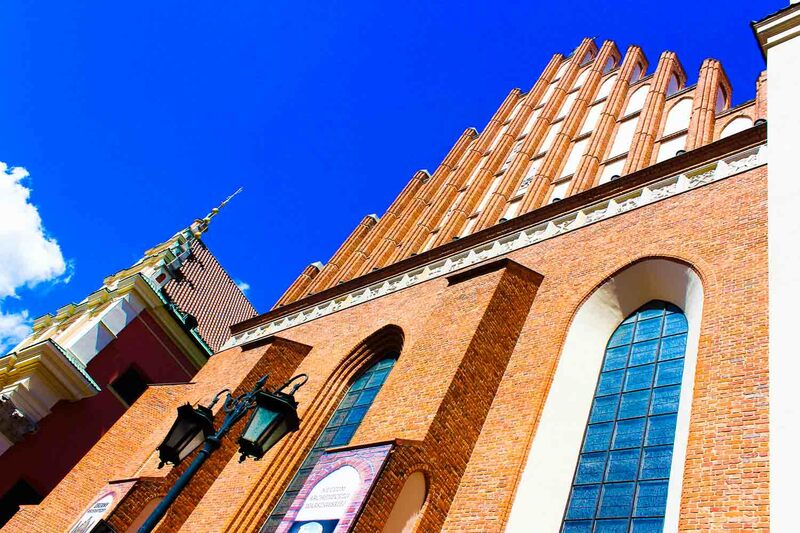 Our next stop was the St. John's Archcathedral of Warsaw which is unique in the respect that it was one of the only cities in the old town that was not built using pre-war photographs but rather illustrations of its 14th century appearance. Hidden in a little courtyard surrounded by brightly coloured houses sits a bronze bell called the Wishing Bell of Warsaw. According to folklore, if you rub the bell and hop around it 3 times on one leg your wish will come true. 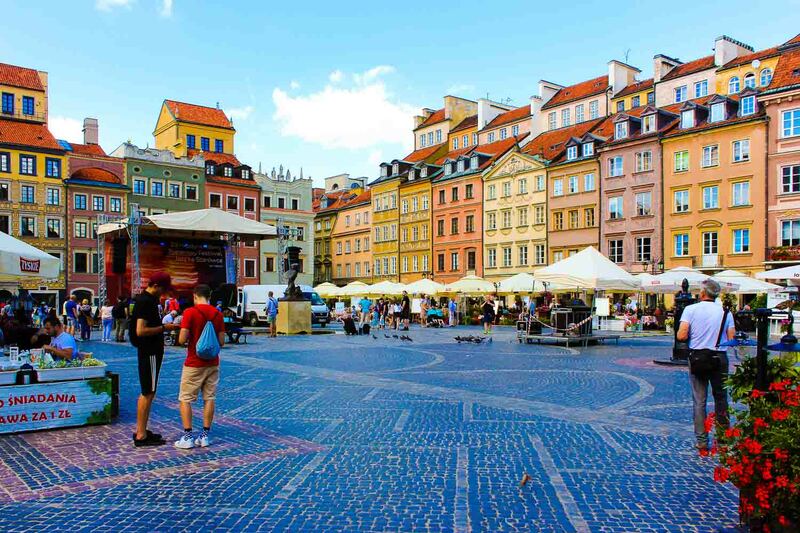 We made our way to the Old Town Market Square, which sits at the heart of Warsaw. After being destroyed by the German Army, it has been restored to its former glory with a wealth of beautiful architecture and charming cafes, shops and restaurants surrounding the square. Although the Old Town Market Square is the epicentre of tourist activities, the prices here are very fair for a tourist district and you can find food and souvenirs for decent prices. We moved into an alley just off the Market Square and our guide pointed out some peculiarities that cover the facades of the buildings around the city centre. Engraved on a number of buildings are colourful scenes depicting various activities - such as theatrical performances, food and various products. This is a practice that has happened for centuries in Warsaw so the illiterate could find a shop or service they needed. 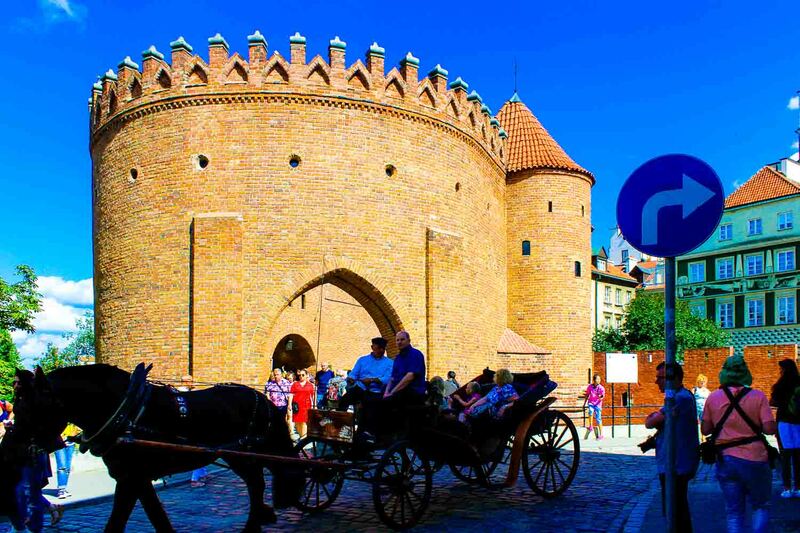 We made our way to the outskirts of the Old Town where the Barbican and City Walls of Warsaw were located. Built in the 14th century for defence purposes, its a fascinating insight into how the city protected itself in the Middle Ages. Just a stones throw away from the Barbican is the birthplace of Marie Curie which also doubles as a museum dedicated to her life and scientific discoveries. For history lovers this is a modest yet fascinating museum showcasing Ms Curie's lifetime achievements. Not only did Poland suffer the highest impact from WWII destruction, but Warsaw became a fragmented city where its citizens were split on ethnic boundaries. 11 miles of 10 foot high brick walls was built around the Jewish quarter of the city marking the Jewish Ghetto. Although it has now been reduced to a marking on the floor, it is a poignant memorial and an important piece of history to remind us to not so quickly forget the wrongs of the past. Around the corner from the ghetto wall marker was the Supreme Court of Poland. Rich in symbolism, we roamed around the back corner of the Court past three elegant caryatids symbolising the qualities of faith, love and hope. 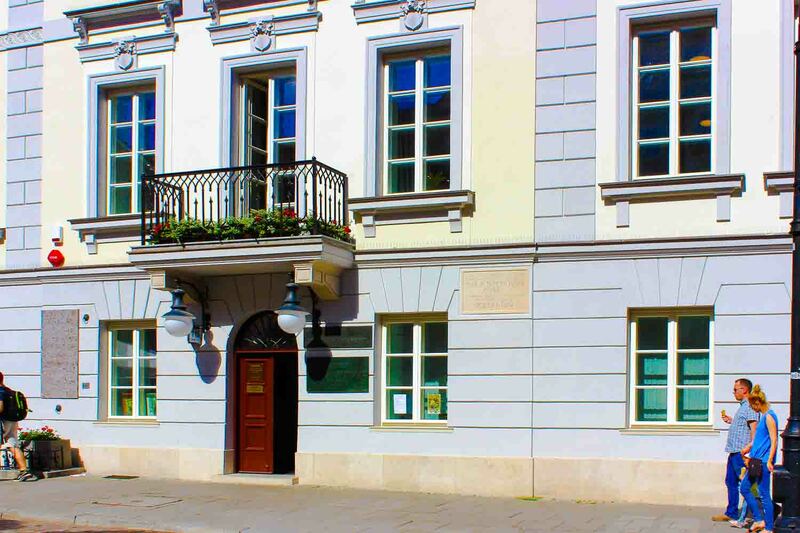 Physically used as pillars to uphold the building, these are qualities that are today held in Polish law and society. 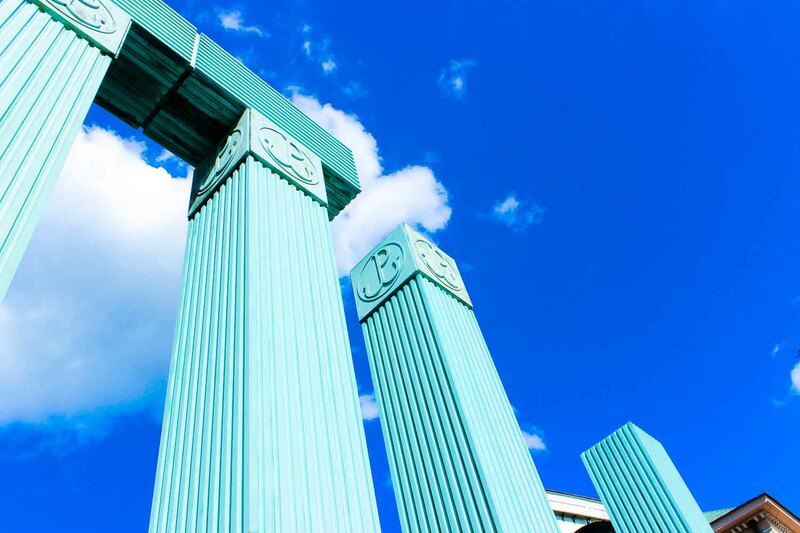 Surrounding the entire court are jade coloured colonnades adorned with the symbol of balance at the top of each column. Some of the colonnades were partially constructed (as seen below) to symbolise a past, present and future that is imperfect. 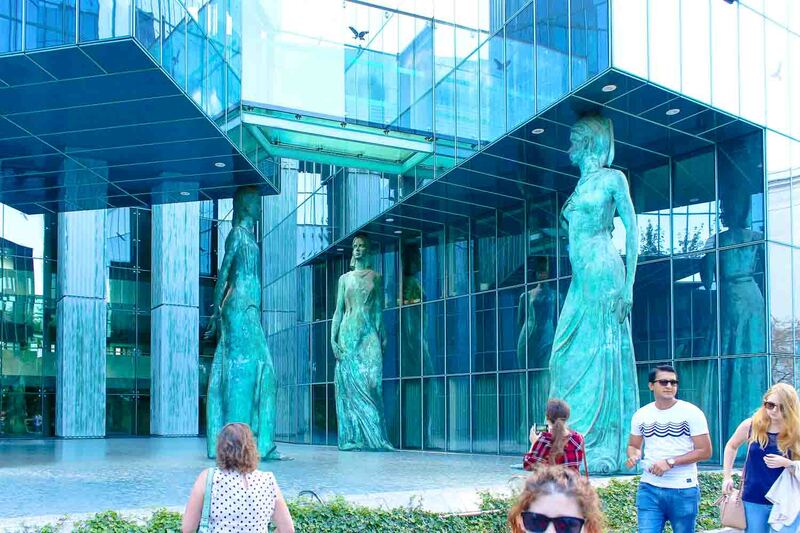 Whether you are an architecture enthusiast or just a casual observer, the Supreme Court and what it represents was one of my personal favourite in Warsaw. 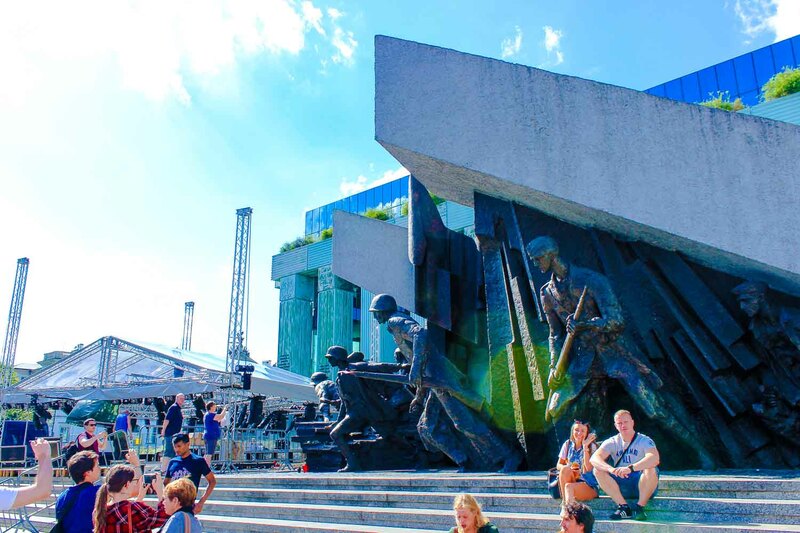 Our final pitstop was one of the most visited monuments in Warsaw dedicated to the Warsaw Uprising. An underground resistance with the objective to overthrow German occupation in Warsaw and assert Polish liberty. Lasting 63 days, German forces eventually retreated from the city when Soviet forces advanced into the city. That night we climbed the Palace of Culture and Science which doubles as an observation deck of the city skyline. As I admired the horizon of the city I had just spent less than 24 hours in, I reflected on what our guide had taught us about Warsaw today. 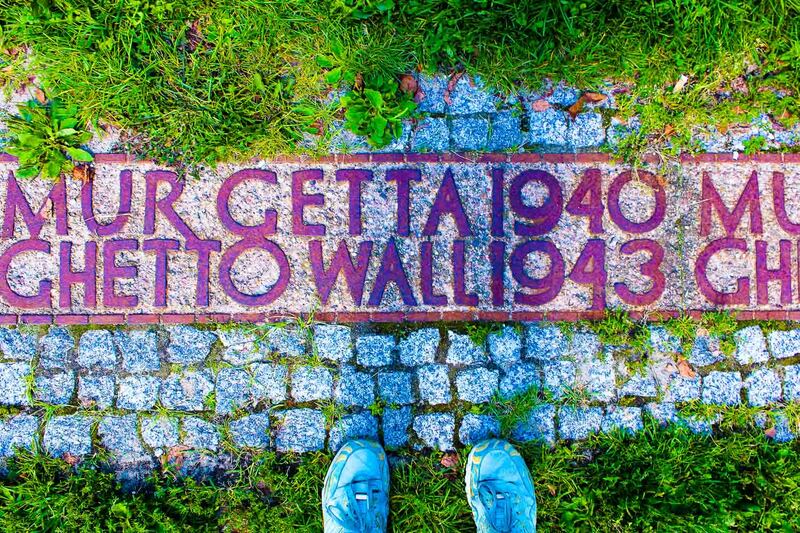 Although Warsaw was utterly decimated in WWII and only part of the city had been reconstructed, what made Warsaw such a compelling destination to visit was the history teeming from every corner and crevice of the city. 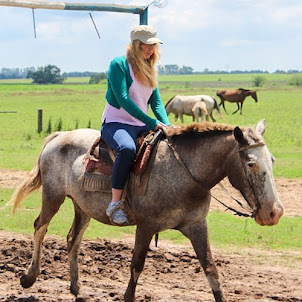 It is a young city, but brimming with history in every corner and crevice.